Topaz is a silicate mineral of aluminium and fluorine . Topaz crystallizes in the orthorhombic system, and its crystals are mostly prismatic terminated by pyramidal and other faces. 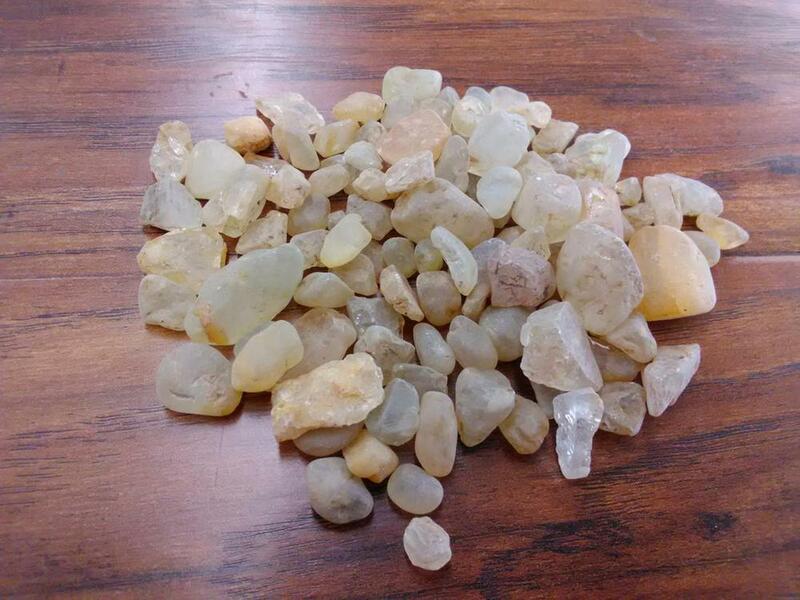 Pure topaz is colorless and transparent but is usually tinted by impurities; typical topaz is wine red, yellow, pale gray, reddish-orange, or blue brown. It can also be white, pale green, blue, gold, pink , reddish-yellow or opaque to transparent/translucent. It is a balancing and calming stone that balances emotions, releases tension, balances emotions, and can bring joy.